Buy or rent pre-owned, recertified Alaris® IMED PC-2TX you need today. 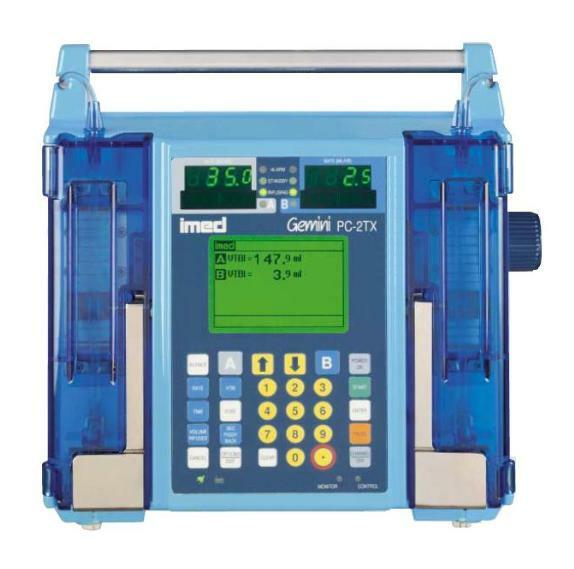 All pre-owned medical equipment is patient ready equipment and is covered by an OEM matched warranty. Activates an externally powered system when any alarm, malfunction, press start prompt, or infusion complete advisory is issued. Requires a DIN plug with 6 pins at 240°. Electronic Industry Association (EIA) Standard requires a standard 9-pin sub-miniature male mating connector with a standard screwlock backshell with jack screws for proper mechanical interface.